125S Split Fibre Dense from M.A.C. 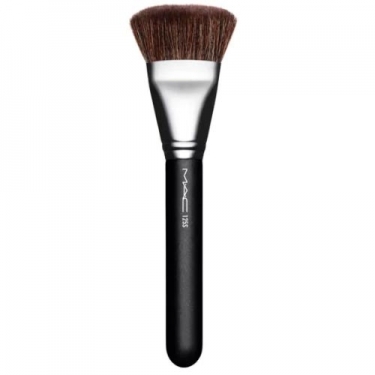 is a face brush with a split of two types of synthetic fibers for greater deposit and color coverage. It has semi-short fibers with a round but flat top, for a maximum yield of the product and a more precise application.